From cell phones to social media, things have come a long way in terms of the way people communicate and interact. It makes connecting with others — whether for business or pleasure — a simpler task. It can help you better service the families that look to you when their loved ones have passed. Technological advancements are changing the way funeral homes operate. For years, funeral directors were very heavily relied upon for a family’s needs. Family members that lived far off only had the choice to make the trip for the funeral service or miss them altogether. 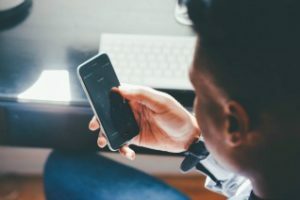 These days, various services such as live call answering, funeral webcasting, and helpful apps are assisting funeral directors with serving families more effectively and efficiently. Live call answering ensures that every call is answered and every family is assisted by an actual person, whether you're available or not. Going digital will help you keep up with files and fill out paperwork without outdated typewriters or handwritten forms. Storage is easier as well, with software that can make finding a family’s information as simple as clicking a few keys on the computer; and it’s also safe from being lost or destroyed when stored via cloud storage. There’s an app for almost anything you need, including funerals. You can find apps for funeral planning, scheduling, note taking, faxing documents, task sharing with others working in your funeral home, and more. Technology makes accepting payments easier as well, with options such as online payment and check guarantees. Keeping your website up-to-date also ensures your families always have the right information available to them. This is a very wired world and with webcasting, families that can’t make the trip for the burial service can watch it live. You can help families create digital keepsakes and memorials of their deceased that are accessible from the internet and can include the obituary, photos, videos and information about the family. Even headstones can a get technically induced makeover, with solutions that make it easy to design them with more detail, allowing families to create something that really honors the passing of loved ones. Using technology, you can provide families with personalized and simple solutions to bury and honor the lives of their loved ones the way they want.